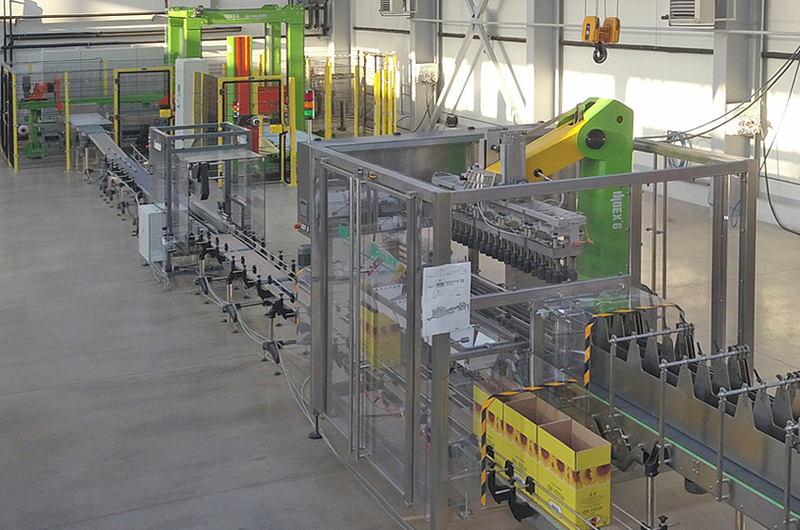 The IND-Pack 24 series for packing in cardboard boxes. 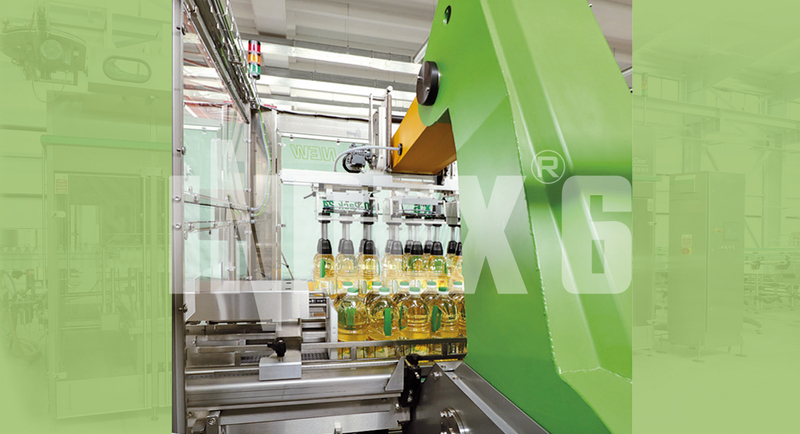 For both types of group-packing we offer integral solutions. We use special dividers to form groups of cylindrical, flat or square containers, as well as containers with complex shape. 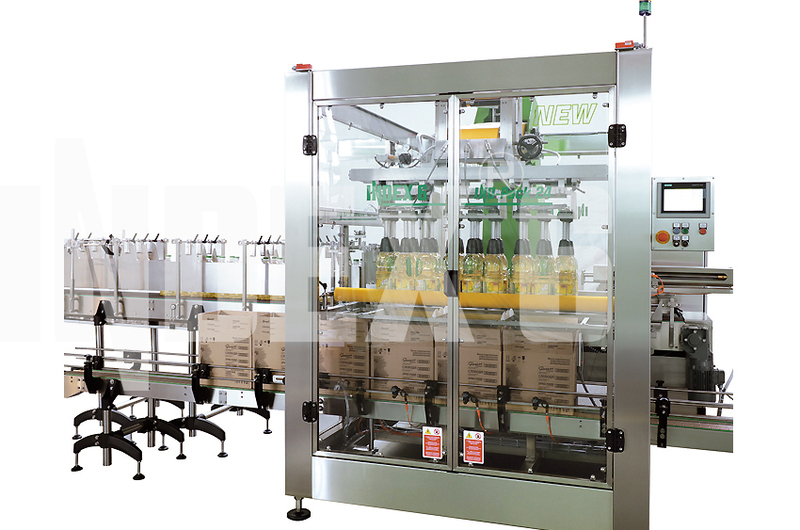 Our machines from the IND-Pack 29 series can insert flat cardboard pad or cardboard tray with walls underneath the containers. 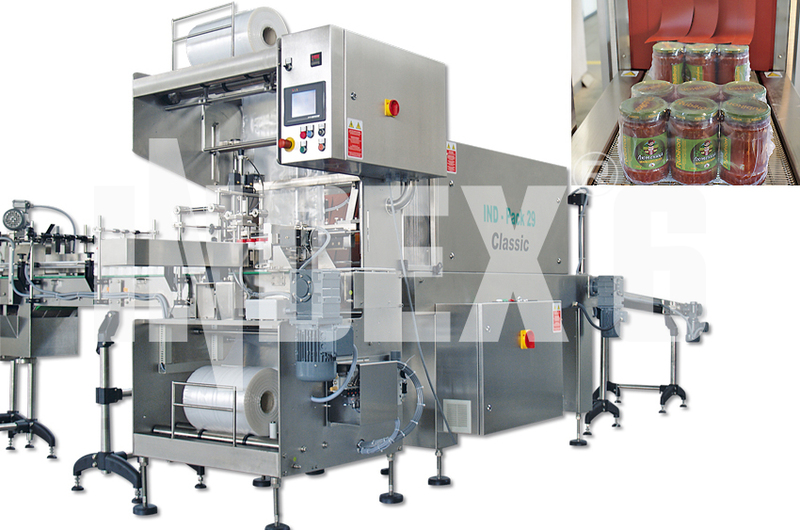 We offer cardboard box erection and closing with adhesive tape or hotmelt glue. We secure ready packs/boxes conveyance to palletizing. 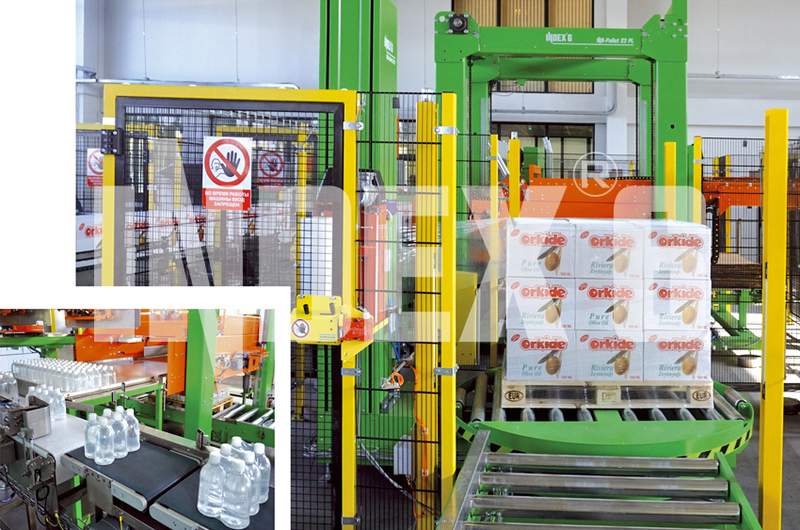 For palletizing of the group packs we offer different type of configurations with capacity up to 35 pallets/h, series IND-Pallet 23 PL.